Texas health officials have reported 89 cases of West Nile virus in the state and three deaths as of late September, with 49 deaths reported nationwide so far in 2017. It is expected by the Center for Disease Control that this number will likely increase as the floodwaters continue to recede from Hurricane Harvey, leaving standing pockets of organically rich water pooling among storm debris that acts as a breeding ground for disease-carrying mosquitoes. In a study published in the Journal of Vector Ecology, Auburn researchers have identified climatic, ecological and socioeconomic factors contributing to the incidence of West Nile virus, with further studies underway to refine risk predictions that could help public officials save lives during West Nile virus outbreaks within flood-prone or hurricane impacted areas. Graeme Lockaby, professor and associate dean of research in Auburn’s School of Forestry and Wildlife Sciences, is the lead author of “Climatic, ecological, and socioeconomic factors associated with West Nile virus incidence in Atlanta, Georgia, U.S.A.” His Auburn colleagues, Associate Professor Wayde Morse, Professor Latif Kalin and researchers Robin Governo and Rajesh Sawant, served as co-authors among the multi-agency research team that included scientists from the University of Georgia and Pennsylvania and the USDA Forest Service. Forest size and composition is believed to be correlated with the presence of Corvidae, the family of birds which includes such common species as crows, ravens, jays and nutcrackers. Corvids are a reservoir of West Nile virus and can carry the disease. When mosquitoes bite one of the birds, the mosquitoes then infect themselves and transmit the virus to their next victim. Corvids prefer open areas with scattered tree cover. Researchers found that the presence of West Nile virus decreased with larger forest patch size and increased percentage of pines. This may be due to increased diversity of bird species. This phenomenon is referred to as the “dilution effect” which infers that with increased species diversity, the probability of a mosquito biting an infected Corvid decreases. It is important to understand both what influences the presence of the Corvids who infect mosquitoes, and what areas are ideal breading grounds for the Culex sp. mosquitoes which transmit the disease to other species. 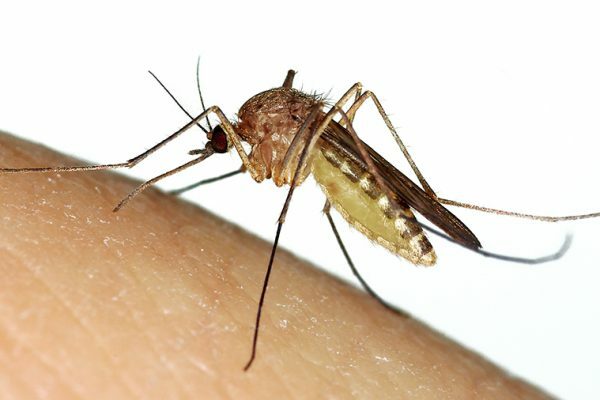 “The initial run of mosquitoes is not too much of a disease threat although a huge nuisance to people but it’s the next run we really need to be concerned about,” said Sonja Swiger, Texas AgriLife Extension medical/veterinary entomologist, in a recent statement. “As conditions dry up, we will cycle out of those weeks of floodwater mosquitoes, and then begin cycling into a period of time where the disease-transmitting mosquitoes will emerge and build up,” Swiger said. Lockaby is heading a new two-year study with graduate student Nicole Castaneda, in conjunction with the Audubon Society and U.S. Forest Service, to further refine our ability to determine locations of highest or lowest risk for West Nile virus based on the presence of specific risk factors. Castaneda will characterize bird species diversity, soil wetness, age and species of trees and socioeconomic factors near mosquito sampling sites across Atlanta. Her data will clarify the mechanisms behind some of the first study’s findings and improve the accuracy of risk predictions. Professor of Hydrology, Auburn University, School of Forestry and Wildlife Sciences, Auburn, AL, U.S.A.